Freshest Cargo now reaches communities in four counties around the Bay Area. Farmers markets are not just on Saturdays anymore. 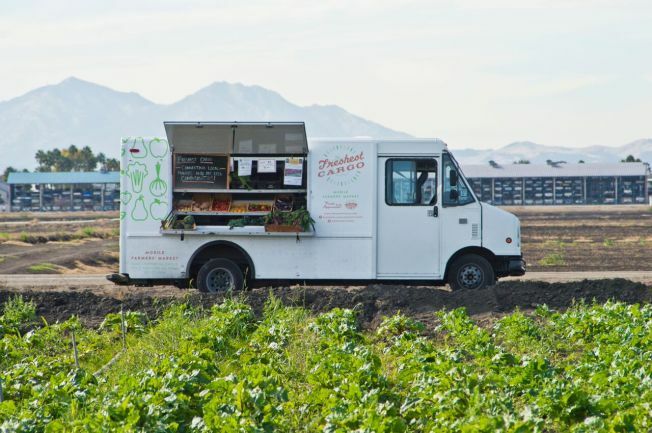 A mobile market called Freshest Cargo just expanded its business into East Palo Alto and Menlo Park, reports Almanac News. Facebook also joined in on the endeavor, partnering with the truck for their new route expansions. The project is a part of the non-profit Fresh Approach, which works to provide local fruits and vegetables to underserved communities. The non-profit currently has two trucks and runs seven different routes a week across the Bay. Along with the mobile store, Fresh Approach provides nutritional classes and an incentive program for those shopping with food stamps. This encourages communities to buy fresh produce and look towards local foods for nourishment rather than fast food. Facebook’s global events, amenities and community engagement manager Alex Gahagan told Almanac News that Freshest Cargo only harvests seasonal crops from local farmers. Along with supporting California businesses, Gahagan also mentioned that the produce is cheaper than what is typically found at neighborhood farmers markets. None of the food goes to waste either. Almanac News stated that any produced that is not purchased is donated to community food banks. If looking to support a good cause, check out Freshest Approach’s route schedule on their website.